Parabled Light, originally uploaded by iamkr. In high school, I would sit on the crown of our roof at sunset and watch the show that happened every day as the sun disappeared into the Texas horizon. I am pretty sure the neighbors thought the Ruth kid had gone ‘round the bend, but what they didn’t know is that I was caught up with the light, and the Light. This fascination with Light played out wherever I ventured - in the predawn mornings in the San Juan mountains week in and out as a guide, or across various oceans on the back of a surfboard, or gazing out a window café in New York, Boulder, Austin. But I didn’t start to capture those moments of light with a camera until just a few years ago – first with in 120/Medium format film, and then digitally. When asked to put together an installation of my photography for Boulder’s Atlas Purveyors it was this play of light that came to mind. As a writer, I see stories being told through the images I capture. So the pictures I choose and the sequence in which they are hung must tell a story or a parable of sorts. This installation is an exploration of how light and Light not only illuminates the dark, but how it is by Light we see everything else. 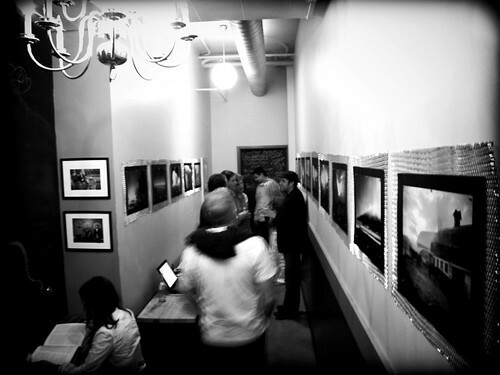 If you are in the area, in Colorado, make the trip to 1505 Pearl St. in Boulder and grab and tea or latte and check out the near twenty images on display and available for purchase at Atlas.